Office Move Pro Calgary is excited to announce a new office moving referral program. Easily earn cash rewards when new clients book on your recommendation. It’s always easy to help people when you’re sharing something great. 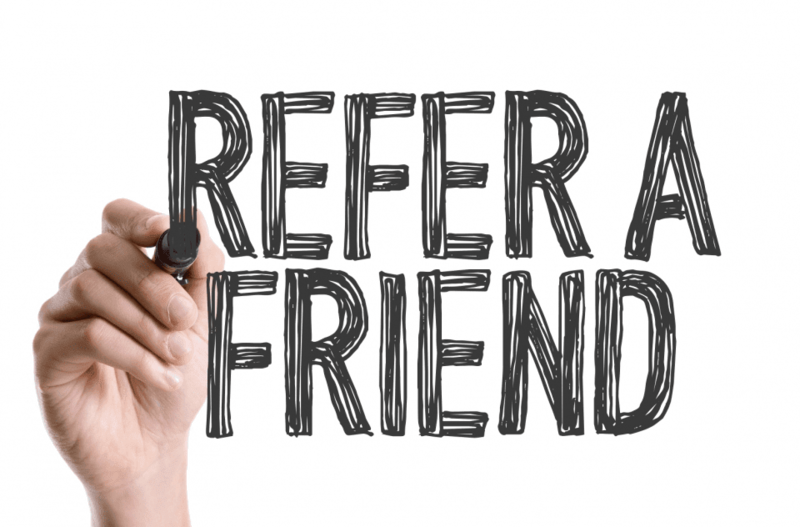 Our referral rewards program makes it even easier. If you haven’t experienced the professional services provided by our Calgary office movers, you can trust the words of satisfied customers who have. We cannot thank you enough. Hope you can stop by and see the final result. We are very happy in our new space and everything is really starting to come together. We could not have done it without you and your team, please pass along a sincere thank you to them all! We’re Canada’s leading office movers, with more than ten years of expertise in the field. Innovative programs like ENVIROMOVE—our green moving initiative—demonstrate our belief in giving back to the environment and the community. We also believe in giving back to the people who trust and support our business through their referrals. You will receive 5% of the moving fee (up to a maximum of $400) for every booking you refer to our Calgary team, once the job is complete. All the client has to do is let us know your name and contact number so that we can verify the referral prior to booking. We won’t inundate your network with sales calls. How you recommend us is entirely up to you. To make things simple, we’ve prepared a short email you can send to anyone who would benefit from our professional office moving services. You can find the referral email, as well as complete details on the referral rewards program, here.